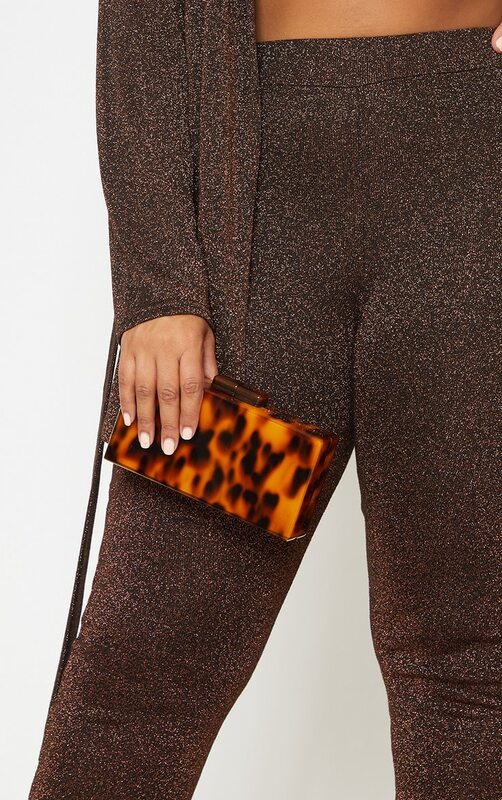 Girl we are obsessing over this print bag. 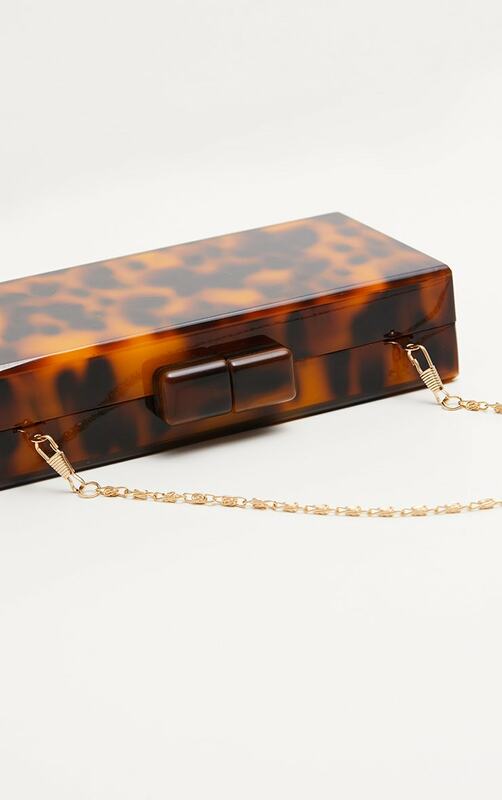 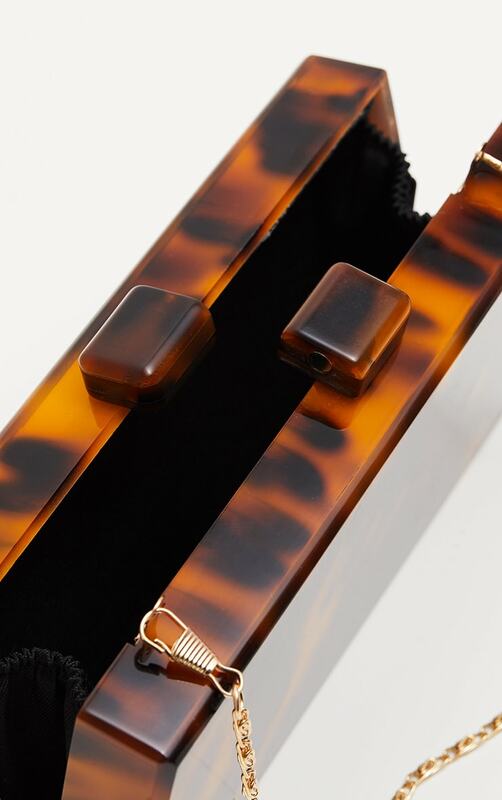 FEaturing a hard resin material with a tortoiseshell print design and an detachable strap. 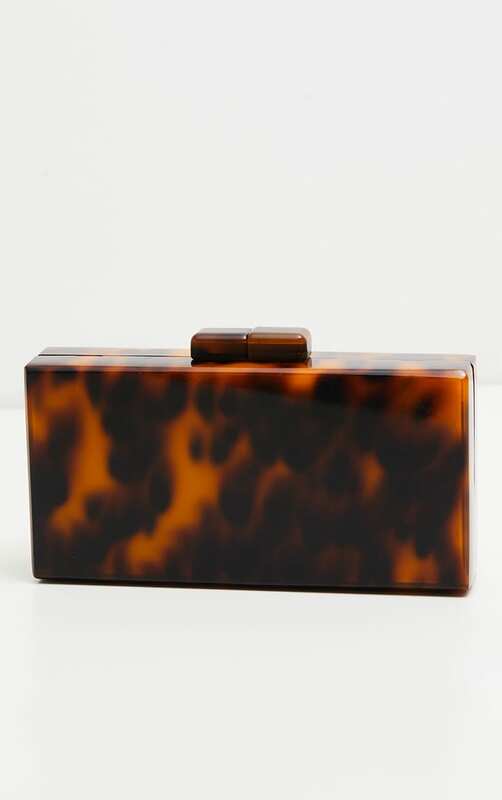 Team this bag with any look for a look we are loving.